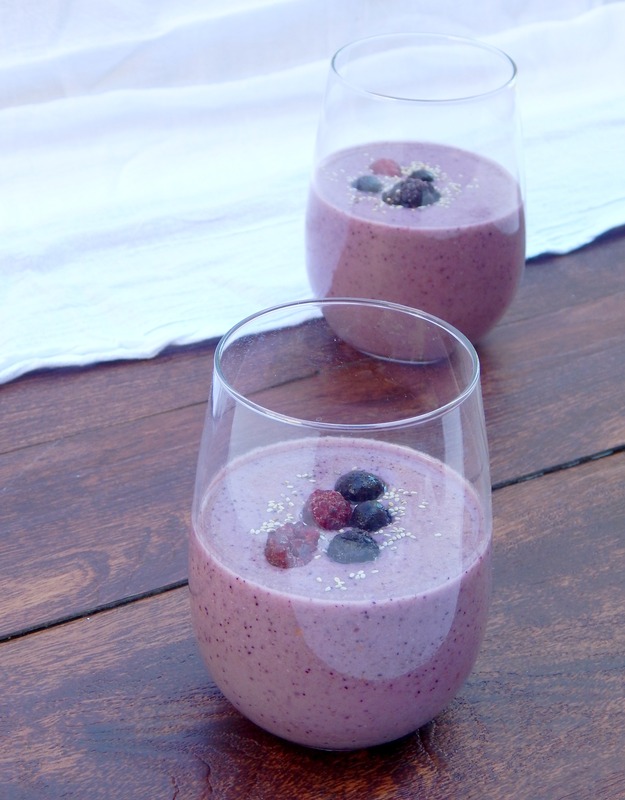 It’s no secret that I love a good smoothie! 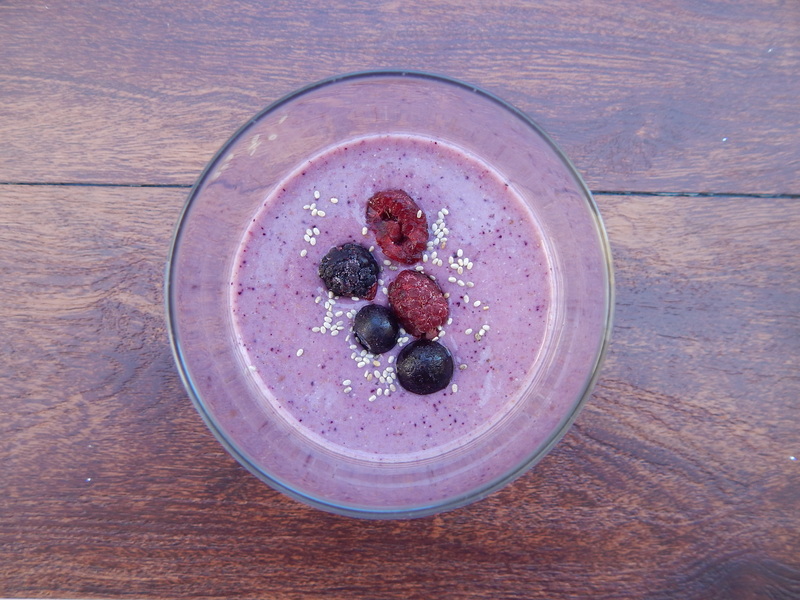 This smoothie combines some of my favorite ingredients: pineapple, berries and chia seeds! It is creamy, velvety and a gorgeous shade of purple! I normally don’t include Greek yogurt in my smoothies, but for the past couple of weeks I have been loving it! I am guilty of not eating enough protein, so this is a great way for me to incorporate protein-rich Greek yogurt into my day. Chia seeds are my life! Too dramatic? Okay, I just love them. I add them to my water almost every day. Some people (like my husband) hate the texture of chia seeds. Adding them into a smoothie is great because they get blended in and you don’t even notice they are there. 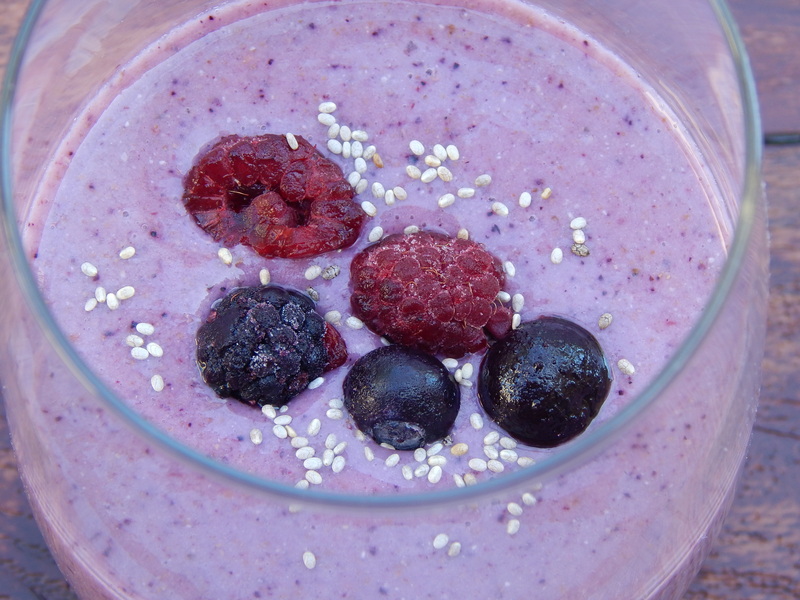 Garnish: Frozen berries and Chia seeds sprinkled on top if desired. 1. Add all ingredients to your blender. 2. Blend until very smooth. Pour into a glass and enjoy immediately! • I use a Nutribullet to blend my smoothies. • I used the Trader Joe’s brand “Fancy Berry Medley” which contains frozen raspberries, blueberries and blackberries with no added sugar. I also used white chia seeds from the Mamma Chia brand at Target, but black chia seeds would work as well.